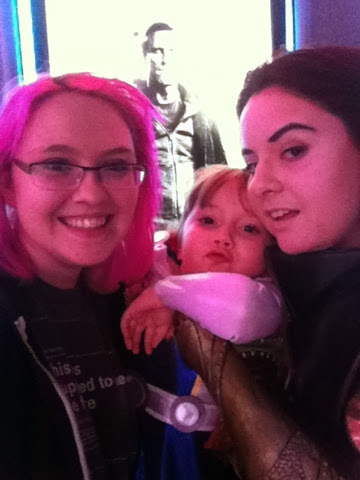 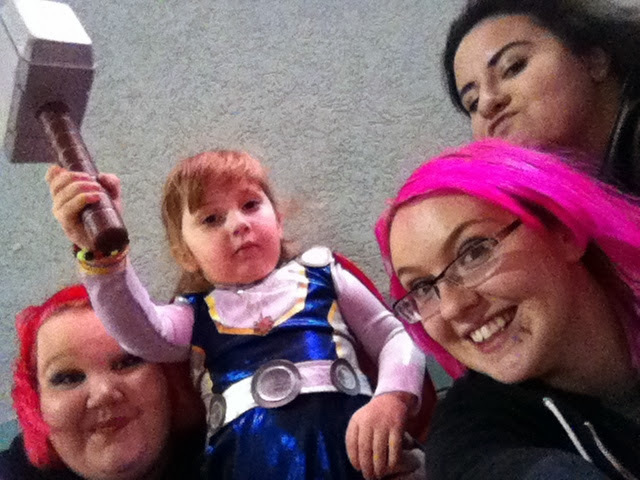 Last night some friends and I went to see Thor: The Dark World. 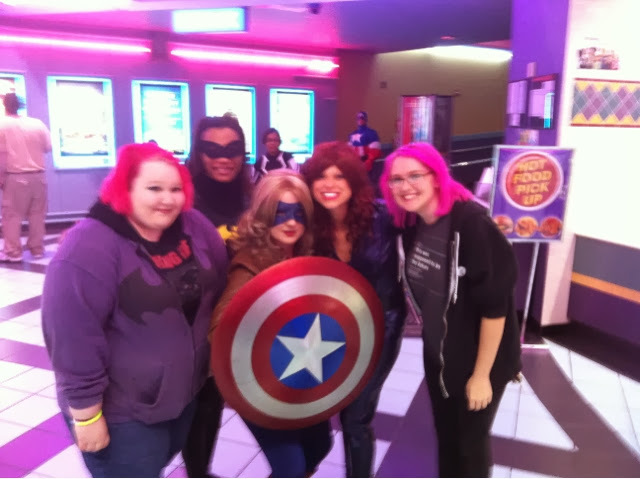 The movie was beyond amazing I recommend anyone who loves action and superheroes see it!! 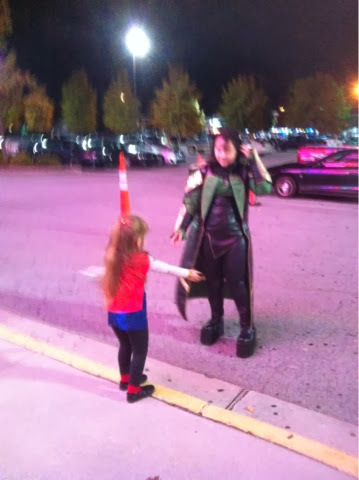 Our theatre was cool enough to have superheroes walking around the lobby and our amazing friend Brianna dressed up as Loki and brought along a little Thor!